How things can change in 18 months. Just in April of last year, BMW was swearing there was still a market and a place for its diesel engines in America, even as Volkswagen had to hastily withdraw them amid its cheating scandal. Then Mercedes-Benz pulled them too. Now the future of BMW’s diesels in the U.S. seems murkier than ever. Citing a BMW statement, story on Autoblog today claimed that despite only having recently introduced the 2018 540d xDrive diesel sedan, BMW would will pull its remaining oil-burners off the U.S. market by 2019. 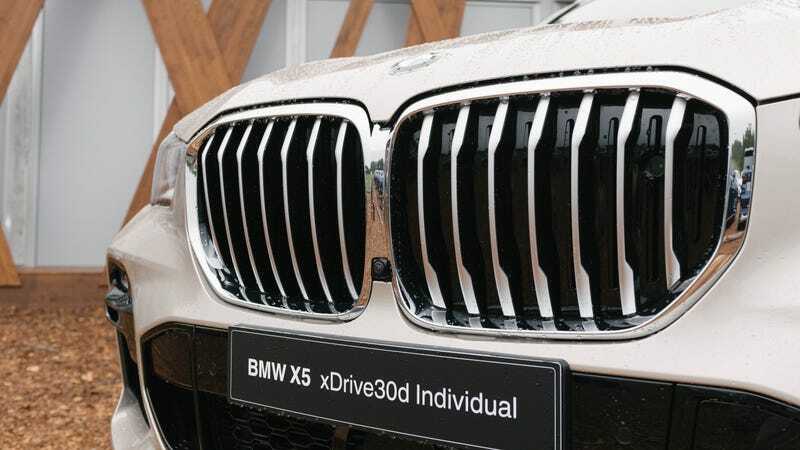 That would mean we say goodbye to the diesels in the 5 Series, the 3 Series and the X5. “BMW of North America has seen a decrease in BMW 5 Series diesel sales over the past several years, making the business case for the version no longer viable,” the official said. As for diesel variants of the other cars, they seem uncertain if you read between the lines. The 3 Series is due to be replaced soon with an all-new car set to debut at the Paris Motor Show next month, and “We have not yet announced the initial engine variants of the new 3 Series but will do so in the next few weeks,” the spokesman said. For the the all-new X5, it’ll launch with two gasoline engines, the inline-six xDrive 40i and V8 xDrive 50i. A plug-in hybrid variant will follow in 2020 as a 2021 model year car. Obviously BMW offers a slew of diesels in other markets and will continue to do so, but who knows how long that will last in America? It’s easy to blame Volkswagen for this, but that’s only part of the problem. The death of diesel was probably just hastened by Dieselgate. More and more countries and cities are weighing outright diesel bans, and pushed by the Chinese market, car companies are dumping their R&D money into hybrids and electrics instead. BMW’s doing the same with its PHEV cars, and soon, more full electrics. I look at it less as a shame than the end of an era. BMW had unveiled a pretty good spate of diesels in the U.S. in recent years; a favorite of ours was the 335d, the previous-generation 3 Series with a turbo inline-six diesel that packed more torque than a C6 Corvette. More recently it had diesel four- and six-cylinder engines in various cars, and although they were never volume-sellers, they had impressive power and fuel economy figures. If you can only invest in one area, it’s clear where the future and the market demand is, and it’s probably not diesels.